Four weeks always seems like plenty of time to give a room a quick overhaul, but I should have learned by now that the time flies by, especially when you have a scattered brain like me and can’t focus on one project at a time. Even one with a “deadline”. 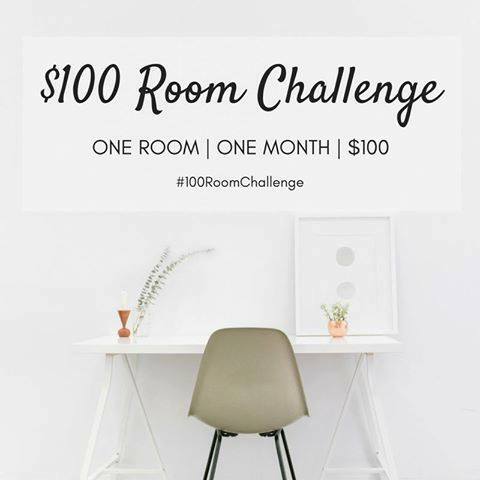 If you’re seeing this post for the first time, you can see my week 1 post here, or head on over to Lemons, Lavender, and Laundry to see all the details about the $100 Room Challenge. 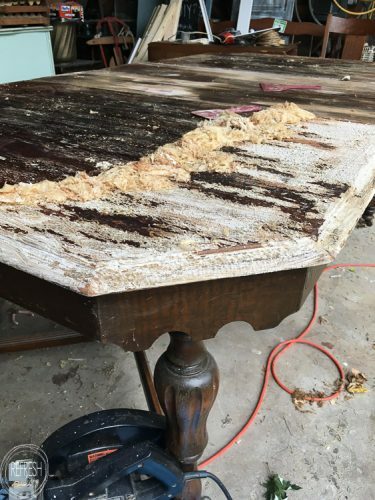 This week, I worked on our “new” dining room table. I scored this table, with five chairs, for $72 at a used furniture store. I didn’t need the chairs, so you better believe I sold them on Craigslist; $35 for all of them. The total cost of my table sits at a whopping $37. It has two removable leaves, which is exactly what we needed, as the space it sits in is small, but when we have family over, we need to extend it. I stripped down the top, which is always, always a labor of love. After two coats of stripper I still wanted it to be lighter, so I decided to then use wood bleach. I’ll be writing an entire post about the makeover, but right now the top is bare and ready for stain. Then, I’ll paint the base and legs and move her in! Besides that, I also painted the side of our fridge with vintage green chalkboard paint. 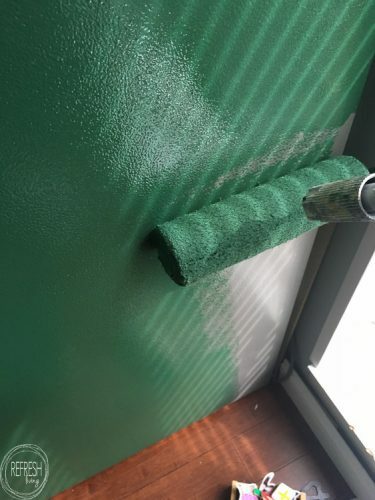 I had a ton left over from my daughter’s “vintage schoolroom” nursery, and I love green. Clearly, I still have quite a bit more to do in this room, which is going to require me to stay focused. It looks like I still have $43 left in my budget. I’ll need about a yard and a half of fabric, and then I should have some money leftover for some plants for my new window garden! 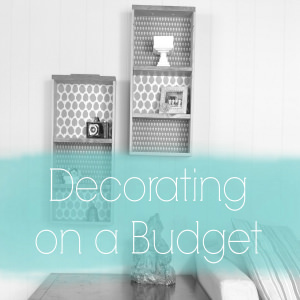 There are a bunch of others taking on the challenge of redecorating a room for only $100. 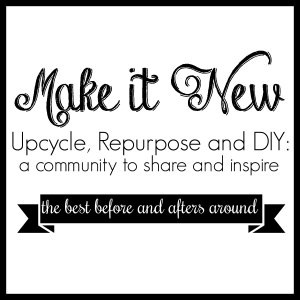 Stop by and see what they are up to! 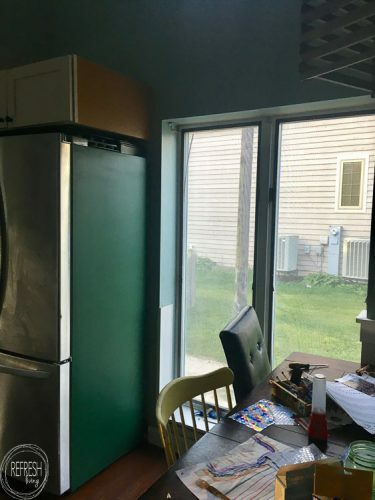 I would have never thought to paint the side of my fridge! Such a cool idea. Looking forward to seeing the finished project next week! Thanks! I sure hope I’m able to finish! I’m so glad I’m not the only one struggling to make progress this month. I am determined to get this room overhauled this week… or the reveal is going to be pretty pathetic 🙂 Good luck on finding that perfect fabric! Haha – you’re right on that one! I think I finally decided on one yesterday! I so related to your whole first paragraph! 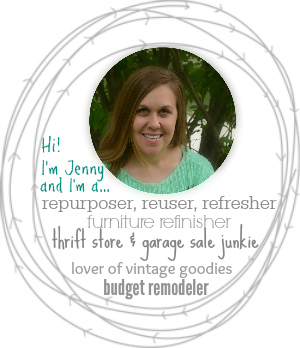 And I can’t wait to see more about your table refinishing because I have one that I just don’t know what to do with. I’m scared to even start! It’s so funny you mentioned your indecisiveness, because I just stained the top, and then decided that wasn’t the look I wanted, so I bleached it again to start over. HAHA – I hope I make the right call on stain this time around! What a score on the table! Stripping it is so much work. I can’t wait to see how it turns out! Seriously – I couldn’t pass it up, and I’m SO glad I didn’t! 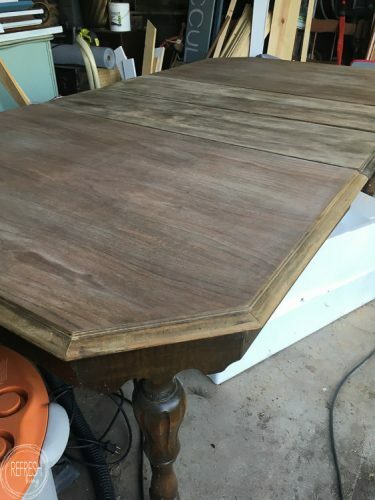 I was late for the 3rd week, love the table already and that color green is very rustic. I think using the bleach was a good move. Can’t wait to see the reveal.